Woman Engineer at the center of India’s space mission « Adafruit Industries – Makers, hackers, artists, designers and engineers! 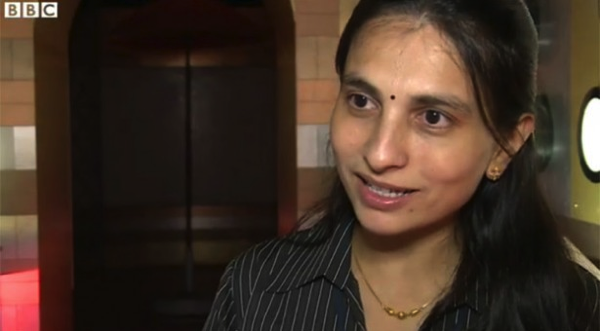 BBC News Asia has a great profile on Minal Sampath, an engineer working on India’s mission to Mars. For two years, Minal Sampath, a systems engineer working on India’s mission to Mars, worked flat out in a windowless room, often for 18 hours a day, to be ready for the country’s most ambitious space project to date. “We had a great team and there [was] an understanding between us that we [had] to get the work done to meet the deadline,” she says. “The launch date [was] fixed and we could not miss it. That day finally came on 5 November last year when the Mars Orbiter Mission took off at 09:08 GMT from the Satish Dhawan Space Centre on the east coast of India. Ms Sampath is one of the few women working at the Indian equivalent of Nasa. Despite that, she says she has never felt that she is treated any differently. “I forget I am a woman sometimes, working in such an organisation,” she says. “Maybe it’s because we spend a lot of time working in clean rooms with full suits on, so you can’t tell who is male or female,” she says, laughing. With her work firmly supported by the traditional extended Indian family structure, the prospect of much higher wages abroad has no appeal for her. “I want to become the first woman director of a space centre,” Ms Sampath says, and she would love to go into space herself, although she says she is likely to leave that to the next generation.